First, there was the Alter Ego. Then there was the Alter Ego X4. Now there is the Alter Ego V2, which has all of the great delay models of the Alter Ego X4 crammed into a smaller-sized box. The Alter Ego V2 offers controls for delay model, delay time, feedback, effect level, and tap subdivision. For tap subdivision, the uppermost position is quarter-note, the middle position is dotted-eighth note, and the bottom position is quarter- and dotted-eighth notes—perfect for those “Where the Streets Have No Name” sounds. By using the rear mounted USB port, you can connect the Alter Ego to your computer and use the TonePrint Editor software for "deep editing" of your delay settings. The options are bordering on limitless, but one of the cool things you can do is set the knobs to control other functions (or multiple functions). If you don't want to go to that level of detail, you can still use the TonePrint smart phone app to beam a TonePrint setting to your pedal through your pickups. For me, the models and patches that come loaded on the Alter Ego are so good sounding and well thought out, that I didn't spend much time playing with the TonePrints. Now that we've walked through the technical details, let's get into the actual sounds. The legion of individual delays modeled in the Alter Ego is epic. You get the following: Binson Echorec 2, Electro-Harmonix Deluxe Memory Man, Tel Ray Organ Tone, TC Electronic 2290, Boss DM-2, Watkins Copicat, Maestro Echoplex, and the Roland Space Echo. The Echorec setting is perfect for getting those David Gilmour tones. Paired with my EHX Deluxe Big Muff, I was instantly able to get a sound very close to the solo tone from “Time.” It's also really fun for the dirty arpeggiated part that comes in at about 3:56 on “Shine on You Crazy Diamond.” One of my favorite things about the Echorec setting is the way the repeats get thinner and brighter as they fade—it allows you to crank up the delay level without muddying your signal. I've been through a lot of bucket brigade analog delays over the years. The warm repeats and the "mojo" never quite make up for the added features and lower noise of more modern digital units. The BDM2 setting in the Alter Ego makes this a moot point. I'm officially done going down the analog delay wormhole. The BDM2 setting is warm and organic with a subtle, gradual, graininess to the repeats. In short, it sounds like an analog delay, but with the tone control, you can brighten or darken the repeats to taste. Moving beyond the delay sounds themselves, what surprised and impressed me most with the Alter Ego is just how good the modulation sounds are. At first, I was concerned about the inability to adjust or even turn off the modulation, but after spending a few hours playing with the Alter Ego, I began experimenting with using the modulation by itself. To do so, I dialed the delay time all of the way back and put the mix at 50/50. It shouldn't be a surprise that the modulation in the Deluxe Memory Man model is great, but the one that really blew me away was the Copicat. I've read in various places that Robert Smith of the Cure used a Copicat on early recordings but he's also said that most of the modulation on Cure albums have come from slightly and carefully detuned and doubled guitars. Whichever the case, the Copicat is perfect at getting the slightly chorused and slightly flanged tones of those early Cure albums. The other thing that pleasantly surprised me was the "audio-tapping" feature of the Alter Ego. I'm a huge fan of pedal-based tap tempo and was nervous about the idea of muting the pedal and hitting my strings to enter the beat. It worked perfectly though. The only time it was an issue was when my band drifted far off our original tempo. But that's a user error issue and no fault of the pedal. My band mate and co-guitarist found that he much preferred the audio-tapping feature and that it helped him to more accurately enter the desired tempo. What we like: All in all, the Alter Ego is a great little delay pedal. It's not as tweak-able as some delay pedals, but that's not a bad thing. I personally loved that I could turn the model dial and within seconds have an excellent and authentic emulation of classic effects. It's easy to use and there isn't a bad sound in it. Concerns: There are times when I would like a dedicated tap tempo button, but the audio-tapping feature is surprisingly good. It’s only a concern if you need to adjust your tempo midway through a song. Tone control to brighten or darken the BDM2 repeats? 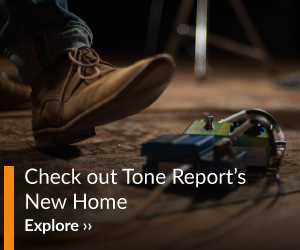 What tone control??? I’m looking for a delay pedal that will do backward or reverse delay effects (kind of like George Harrison’s solo on “I’m Only Sleeping” or maybe Hendrix use of the effect) I was hoping you would talk about the Rev M mode. What is you opinion on the Rev M mode? 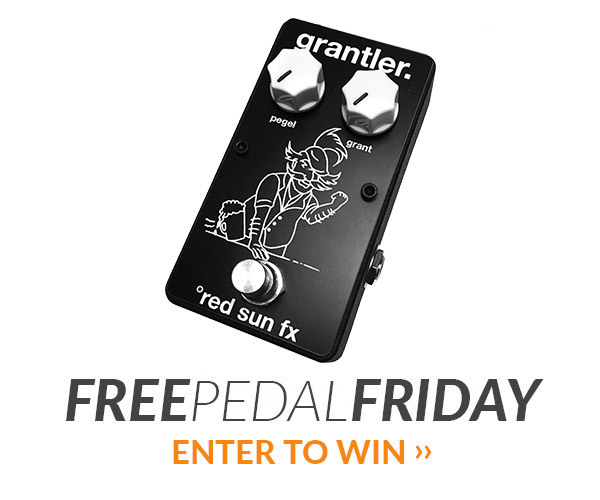 Could you recommend any other pedals that would do a reverse effect?